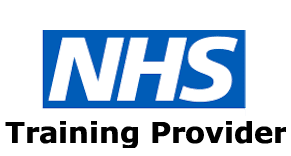 PMVA training courses (prevention and management of violence and aggression) provide a tool kit for healthcare professionals to manage behaviour that challenges. The training is divided into three levels dependent on the needs of the participants. All our courses focus on prevention and using the least level of intervention possible. PMVA provides a range of physical skills develped by the General Services Association (G.S.A.) including breakaway, low level safe holding and secure safe holding. Healthcare professionals who work in private and public sector. 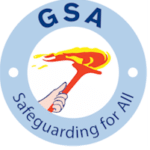 G.S.A training is a recognised model in hospitals that provide NHS care and forensic units. Any employees who are at risk from aggression and violence from the people they care for will benefit from PMVA training. Please note we do not offer training for individuals only groups within organisations. PMVA Level 1 Breakaway Training, conflict resolution course is designed to equip staff with the skills necessary to manage conflict and employ breakaway techniques for escape when necessary. The course will focus on practical skills in the working environment and how participants can think strategically about their daily practice so as to remain safe. This course covers three specific areas of dealing with Violence and Aggression. PMVA Level 2 Course includes breakaway training, low level restraint, assisted-walking and chair de-escalation. PMVA Level 3 Course includes breakaway training, restraint, assisted walking, separating people fighting and chair de-escalation. (Participants will be reminded that physical techniques are to be used as a last resort and the lowest level of physical intervention must always be employed). “I found it all useful and it will change how I deal with patients in the future”. “Very useful and relevant. Learned, some great strategies that I will take back to ward”. “The safe holding techniques will help me keep patients and staff safe”.